Discover the market towns, green hills, and the meandering canals of Northamptonshire. 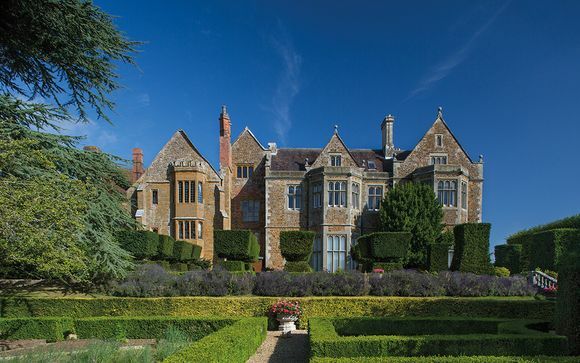 Welcome to the Fawsley Hall Hotel & Spa, an upscale manor hall hotel dating back to Tudor times. 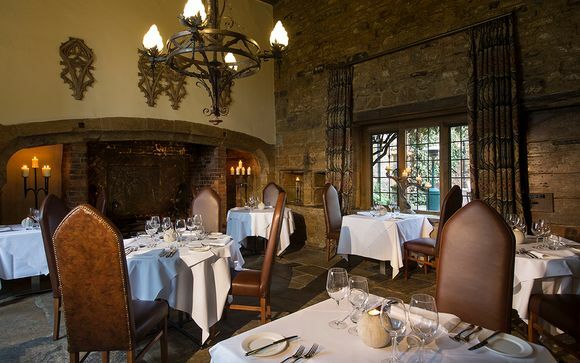 Treat your tastebuds with a 6 course tasting dinner at the Rosette award winning restaurant. Northamptonshire is in the very heart of England and offers something for everyone who visits or lives here. With excellent road and rail links it's easy to find your way to the county often described as the Rose of the Shires. Here you can choose to step into the traditional rural lifestyle typified by Northamptonshire's numerous pretty villages with their thatched cottages, country lanes and parish churches. Or at the other end of the spectrum, Northamptonshire offers many modern attractions and facilities, and holds the accolade of hosting one of the most thrilling Formula One Grand Prix at Silverstone. Northamptonshire is home to some of the most beautiful countryside in England. There are miles of walks, beautiful country parks, canals and substantial areas of ancient woodland just waiting to be explored. Miles of cycle path follow the landscape of the Brampton Valley Way. Rockingham Castle perches on its hilltop with views stretching to Rutland Water. Stately homes and ancestral seats, including that of the Spencer family at Althorp, are all part of the local heritage. The network of canals that interweave the county are perfect for exploring, with cruisers able to stop to sample the hospitality of the old navigational inns along the way. In and around the main market towns there are excellent leisure facilities with great shops, restaurants, museums, galleries, theatres and cinemas, health clubs and spas, and a thriving nightlife for anyone with the energy. With a rich history extending back to Tudor Times, the Fawlsey Hall Hotel & Spa 4* is an elegant and peaceful manor house hotel in the Northamptonshire countryside. 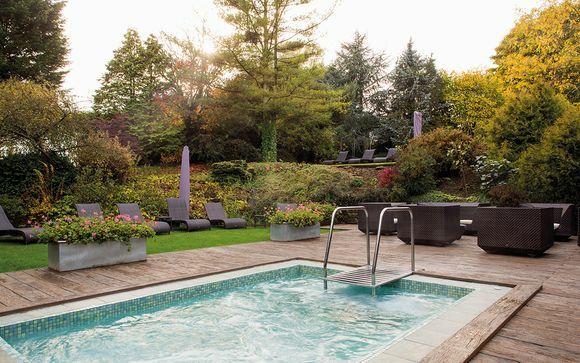 With a sophisticated Health Club & Spa, bright rooms with refined decor, its own cinema, and award-winning cuisine, the Fawlsey Hall Hotel & Spa is a gem in the Midlands. Here you will spend long days full of steaming cups of tea and freshly baked scones, taking long afternoon walks through the idyllic grounds, and simply relaxing in an idyllic countryside setting. Work up a sweat at the on-site gem, or indulge in the award winning spa. Catch a film at the on-site cinema, or grab a drink at the Tudor Bar and Lounge. In the evenings, prepare yourself for a culinary experience at the Cedar Restaurant, winner of 2 Rosette awards. 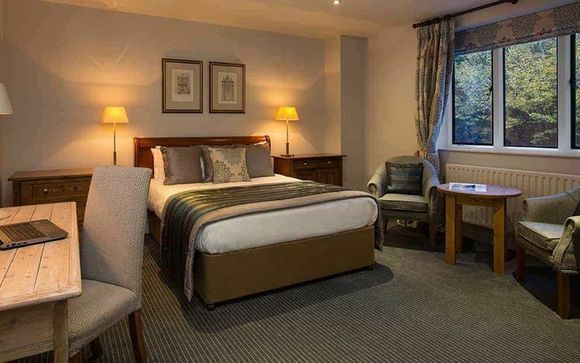 Queen Elizabeth I stayed at this hotel in the 16th century and you will surely see why when you get the royal treatment during your stay at the Fawlsey Hall Hotel & Spa. Our members will stay in a sophisticated and well-equipped Classic Room. Individually decorated and with some rooms including unique period features, your Classic Room comes fully stocked with a tv, phone, plush carpets, wake-up services, and an elegant ambiance that prevails throughout this stylish Tudor Hall Hotel. Just for you: Pre dinner Glass of Bellini (per person per stay) and a special 6 course Summer tasting menu dinner (per person per stay). If staying two nights, the pre-dinner cocktail and dinner are to be enjoyed on the second night of stay. Our members will start each day with a sumptuous British Breakfast. From a Full English to a Continental, you are able to find a wide array of breakfast to start your day. In the evenings, embark on a culinary journey and discover British cuisine with an upscale twist with dining at The Cedar Restaurant. Start your evening with a pre-dinner glass of Bellini and prepare yourself for a 6 course tasting dinner from the fresh Summer tasting menu.